Shout! 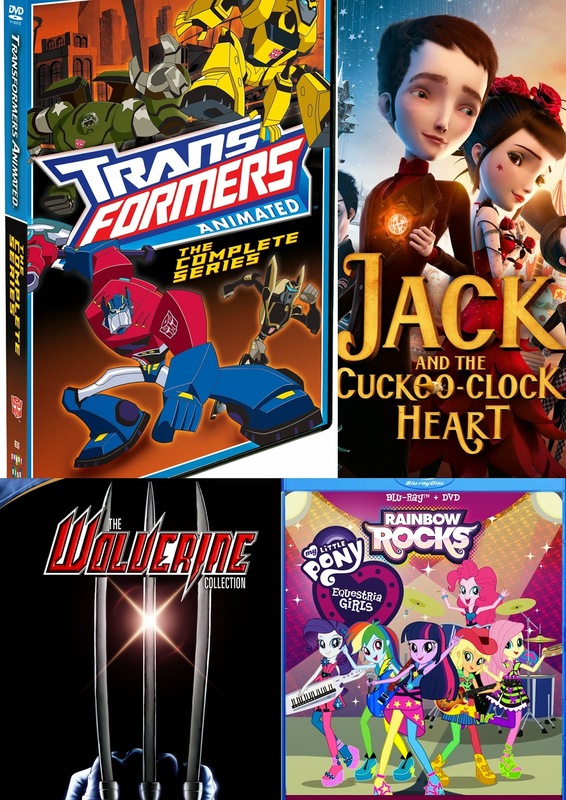 Factory offers some of the best kids shows! Both current and past. Your family has most likely been enjoying Shout! Factory DVD shows for years :). This holiday season Shout! 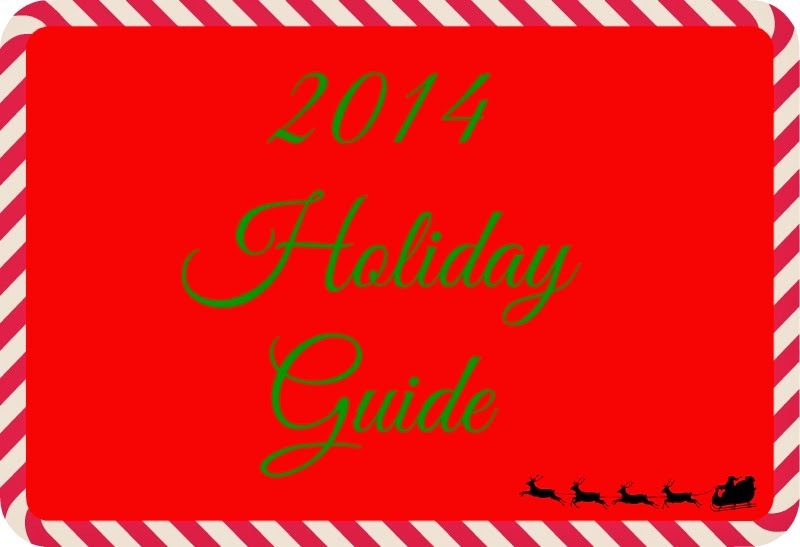 Factory is offering lots of fun DVDs that are sure to make great gifts for everyone. Whether it be in a gift basket or even a fun stocking stuffer! I was able to choose a few for a blog review and to show you the range of awesome items they offer. Please note the few I choose are only 4 of many and Shout! Factory has so many choices that it would be impossible to list them all here. So if you get a chance head over to their website and find something you love. On June 10, 2014, Shout! 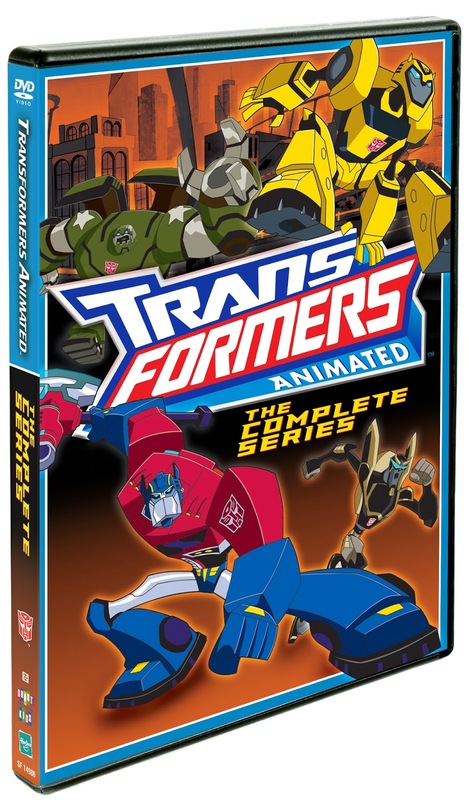 Factory Kids, in collaboration with Hasbro Studios, released Transformers Animated: The Complete Series on home entertainment shelves. This highly anticipated complete series box set, featuring all 42 entertaining episodes with special bonus content, finally arrives exclusively to Amazon.com in a collectible 6-DVD box set. Heart A whimsical and visually opulent animated fairy tale set in an exciting period full of fabulous inventions, Jack and the Cuckoo-Clock Heart is full of unforgettable characters, enchanting music and fantastic adventures. Directed by Mathias Malzieu and Stéphane Berla, with an adaptation by Mathias Malzieu from his own bestselling novel and the gold-selling album by his band Dionysos, Jack and the Cuckoo-Clock Heart was released On October 7, 2014, Shout! Factory, in collaboration with Luc Besson’s EuropaCorp, will unleash the critically acclaimed animated feature Jack and the Cuckoo-Clock Heart.Edinburgh, 1874. On the coldest day in the history of the world, little Jack is born with his heart frozen solid. Wasting no time, midwife Madeleine takes action and saves his life by inserting a cuckoo-clock in place of his icy heart. And now Jack will live…as long as he observes three golden rules: He must never touch the hands of the clock. He must master his anger. He must never, ever fall in love. But fall in love he does, to a bespectacled young street performer, Miss Acacia, with a soul-stirring voice. Now begins a journey of escape and pursuit, from Edinburgh to Paris to Miss Acacia’s home in Andalusia. 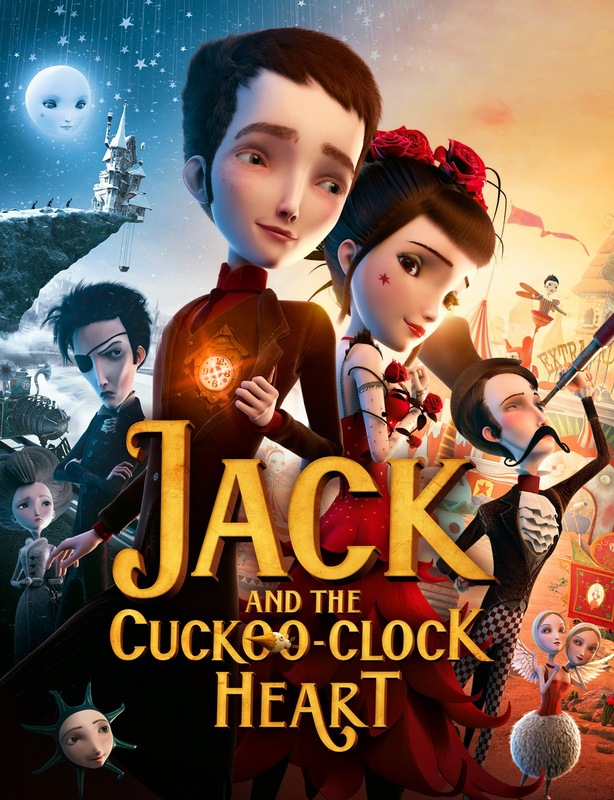 Based on the novel by Mathias Malzieu, Jack and the Cuckoo-Clock Heart is a fantastical, wildly inventive tale of love and heartbreak — by turns poignant and funny — in which Jack finally learns the great joys, and ultimately the greater costs, of owning a fully formed heart. On October 14, 2014, Shout! Factory was proud to present Marvel Knights: The Wolverine Collection, with five complete Marvel Knights Animation releases, together in one collection for the first time. 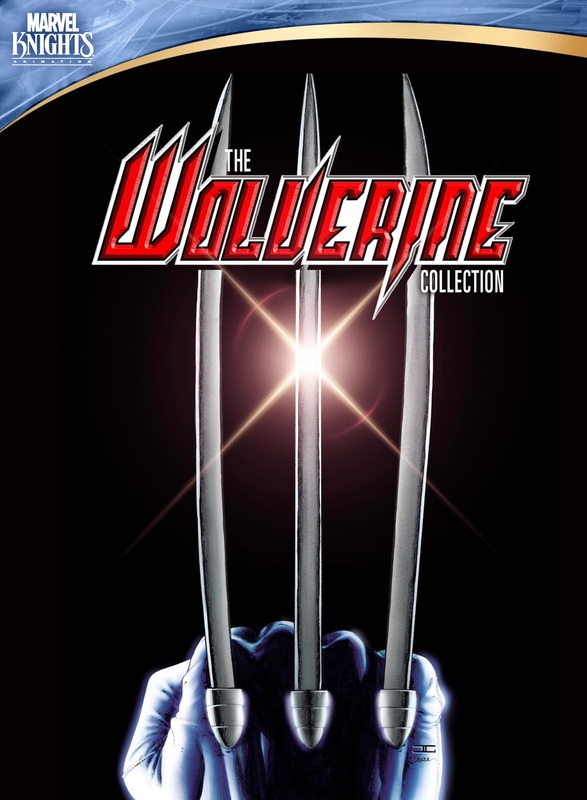 The 5-DVD set features Wolverine: Origin, Ultimate Wolverine vs. Hulk, Wolverine vs. Sabretooth, Wolverine vs. Sabretooth: Reborn and Wolverine Weapon X: Tomorrow Dies Today, brought together to tell the story of one of the most significant characters in the Marvel Universe. Long before he was a member of the X-Men, a tormented experiment of the Weapon X project, or even a savage bar brawler known as Logan, he was simply a young boy. Welcome to the greatest story never told. When several reports of unexplained incidents linked to a mysterious creature start cropping up, Nick Fury enlists the help of the one man he can trust to investigate: Wolverine. And Wolverine’s happy to get the job done — by any means necessary. Wolverine’s life gets complicated when cybernetic robots from the future embark on a Super Hero killing spree. And the only person that can help is a young waitress who insists she knows him — or at least, the person he will become. Get ready for the biggest, best and, quite possibly, the most brutal battle between Wolverine and Sabretooth! Think you’ve seen Marvel’s fiercest go toe-to-toe before? Those were just warm-ups! Wolverine and Sabretooth have been locked in an endless grudge match that goes back longer than either can remember — or even imagine. The key to victory is eons old, and it’s certain to rock their world. It’s the epic conclusion to the duo’s greatest battle! Synopsis When A Friendly Showcase Turns Into A Battle Of The Bands, There’s Only One Pony To Call: Princess Twilight! Canterlot High is hosting a musical showcase and Rainbow Dash, Applejack, Pinkie Pie, Rarity, and Fluttershy are going to be performing with their new band, The Rainbooms. But when The Dazzlings, a new girl group, arrive at CHS and convince everyone to turn the friendly showcase into a Battle of the Bands, tensions mount. A now-reformed Sunset Shimmer realizes that the Dazzlings may not be ordinary girls and are after something far more sinister than just being named Best Band at Canterlot High. The Rainbooms call on Princess Twilight to help them perform a musical counter-spell so that they can win a battle that now determines the fate of the entire school! We love it! Twilight Sparkle returns to Canterlot High to help her new friends overcome a group of sirens, who get their power by taking it from others. These are all shows my family already loves. Transformers and Wolverine are 2 of my boys favorite "heroes" they love having them on a DVD set so now they can enjoy anywhere. Jack and The Cuckoo-Clock I will admit was a movie I requested for myself. The story sounded magical and it looked like something I would really enjoy (The cover reminded me of one of my favorite movies The Nightmare before Christmas) When it arrived and I stuck it in I was surprised that the entire family fell in love. It was a heartwarming movie that is sure to be a new favorite. For being a cartoon I was pretty impressed with how in depth the story and characters were. 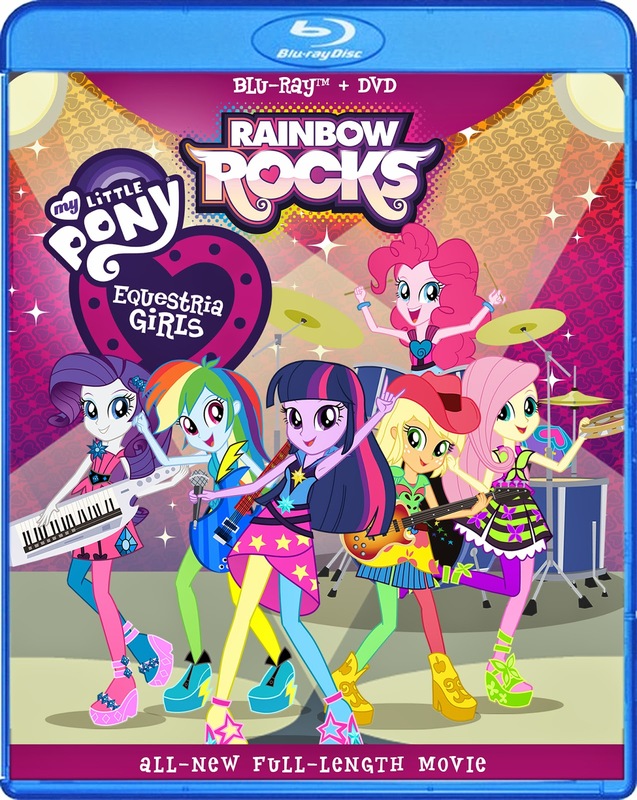 Last but not least was the My Little Pony Equestria Girls Rainbow Rocks. I knew we liked it since the entire family crowded around the TV during its premiere. Well to be fair my hubby just wanted the pizza we ordered. This is the perfect addition to the My Little Pony collection and all Pony fans are going to LOVE it! The DVDs I was able to review are only 4 of so many. Shout! Factory has a huge collection to shop from. 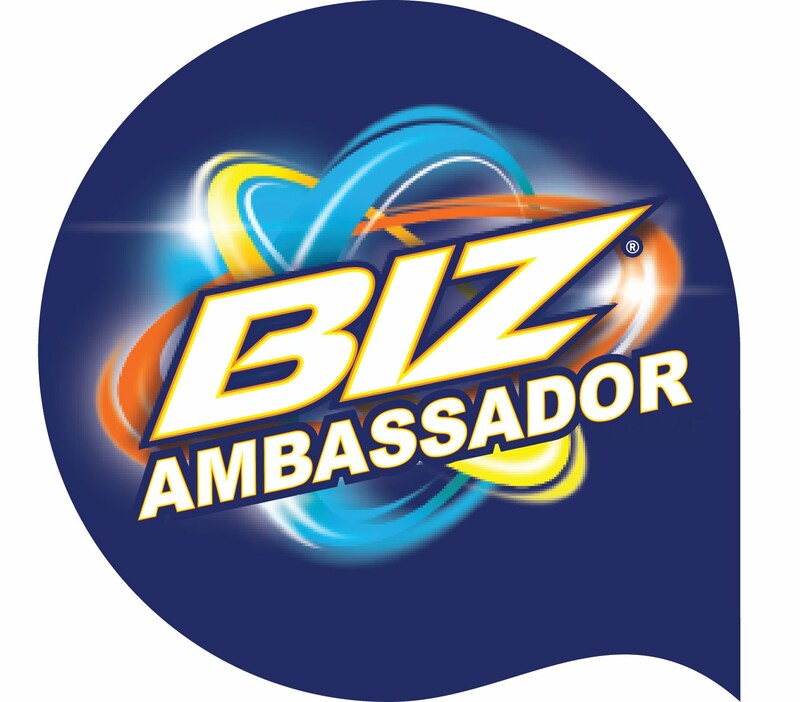 They are a shop you can trust and offer only top quality products and customer service.